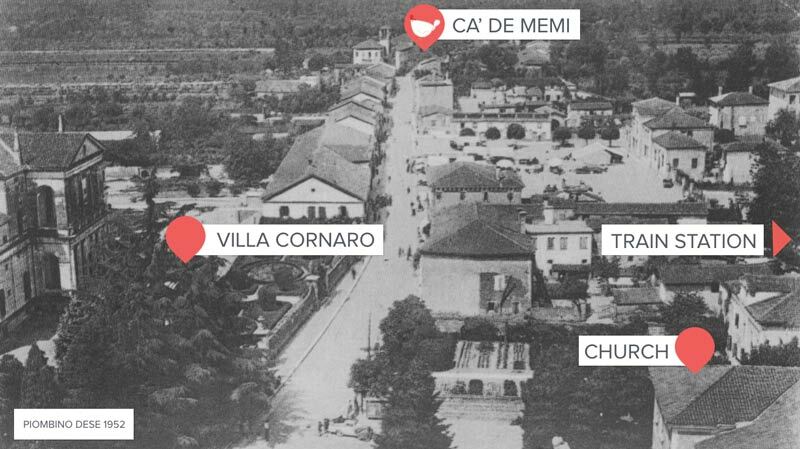 Ca' de Memi is in the North Italy: in a central position between Treviso, Venice, Padua, Vicenza and Asolo. From Trieste - Mestre - Venice: Take the Castellana exit and follow directions for Castelfranco Veneto, Trento. Go straight on for 30 km through the villages of Zelarino, Trivignano, Martellago, Scorzè and Trebaseleghe until you reach Piombino Dese. You'll find Ca' de Memi immediately after the centre of the village, on the left. The Piombino Dese train station is only a few hundred metres from Ca’ de Memi (5/7 minutes by foot). The train line you ride on is Venice - Castelfranco Veneto - Bassano del Grappa - Trento. If you arrive from other lines change in Venezia Mestre or in Castelfranco Veneto. The main cycle roads passing near Ca' de Memi are: Treviso - Ostiglia and Cammino di Sant'Antonio, from Camposampiero to Padova along Muson dei Sassi river. 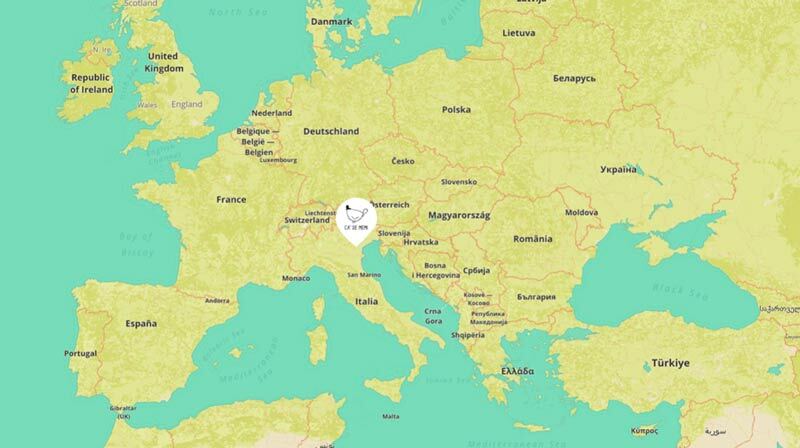 ARE YOU PLANNING AN ITALY TOUR? Thank you! We'll bak to you as soon as possibile.